At Energise, our work covers the full marketing mix. We’ve put together a range of clients and projects we’ve worked on as an example of what we can achieve. Our clients tend to be in the professional services arena and the assistance they require is varied. Sometimes it’s a series of intense growth workshops to get them on track. Sometimes its research to help them understand where they are at and what the marketplace is doing. And other times it’s a full marketing plan that’s tailor made to their requirements. If you don’t have the capacity to action the marketing plan – no problem, we have the skills and experience to project manage the entire process – and to see it through to successful fruition. 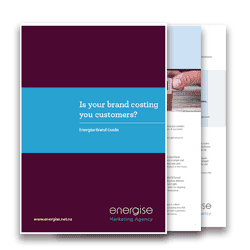 Is Your Brand Costing You Sales? 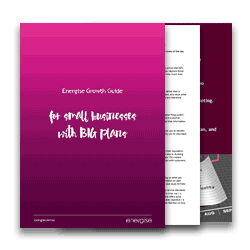 Are You A Small Business Looking To Grow?